Well, a lot has happened since I last posted! The twinnies are HERE, now 11 days old. And they are lovely. The whirlwind began April 19 after a routine prenatal checkup. Clara Louise and Ruby Joy came by c section Thursday, April 20 at 3:36pm. 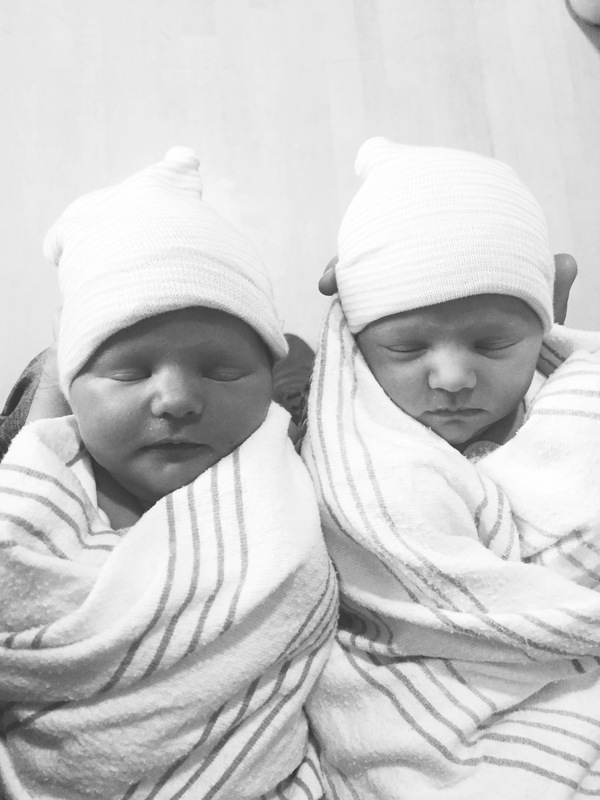 Both weighed 5lbs 10oz, in true identical twin style. 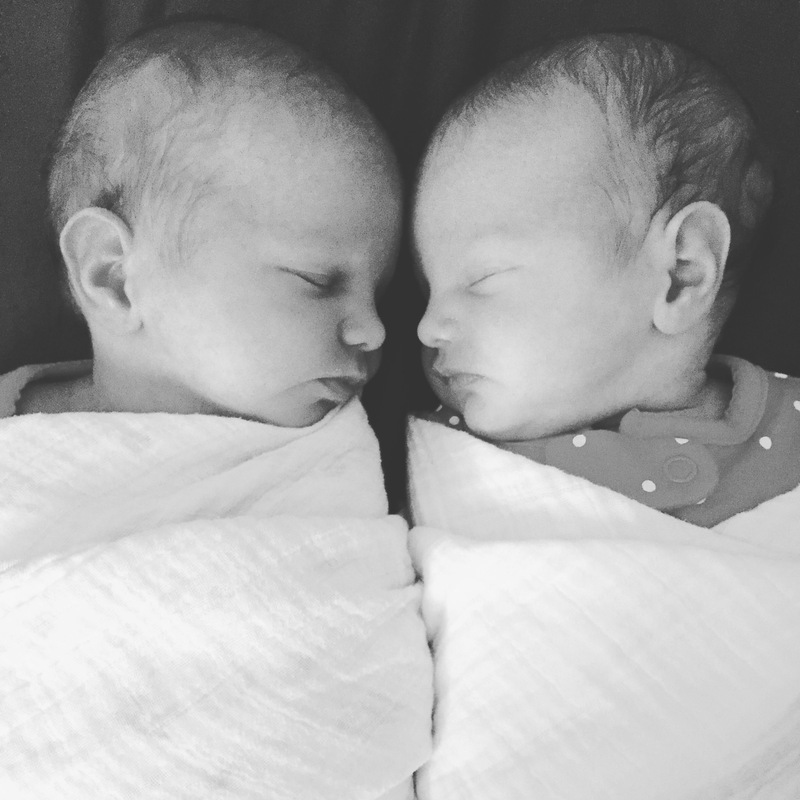 There is so much I want to write about regarding the twins: the story of why they came when they did, the MANY blessings and evidence of God’s hand through it all, our tiny NICU journey that lasted a week but felt like an eternity, and these first tender and tiring days with them at home. I want to write about how this whole experience more than anything in my life has made me feel so many intense emotions. Shock, excitement, fear, loneliness, contentment, thankfulness, love, overwhelm, peace. How it’s been the most physically demanding thing I’ve ever gone through, and possibly ever will. But for now, I’ll just say this: I am so thankful that the Lord gave us these gifts. The whole thing is still a huge mystery to me. I have felt completely unqualified and unprepared from the moment we found out there were two babies. The weeks and months to come will hold many frustrations, sleepless nights and tears (because, motherhood). But for now, I will enjoy the quiet, their peaceful faces as they sleep, the rise and fall of their little bodies as they lay on my chest, the joy of getting to hold both at once, and I’ll wonder. Molly God had chosen you, before you were born, to be the mother of Clara & Ruby. I believe He has special plans for the both of them. He has prepared and designed you to shepherd these two girls in becoming who God wants them to be. Remember God chose Mary to be the mother of Jesus among all women who were available at that time. This is your time. Always remember that and be thankful for the blessing of being the mother of twins, Ruby & Clara. I have always loved you and, if possible, I love you even more now. I am always thankful for our Father choosing me to be your papa. Love & Blessings to the Molly Wahlquist family.